Ever since I can remember, Thanksgiving, Christmas, and New Year’s has been a special time in my family. It’s filled with traditions, love, being grateful, and always feeling blessed and thankful for everything. We celebrate by being together, giving each other gifts, serving delicious food, and of course always having a beautiful Christmas tree. In the year 2008, these holidays were very different – I was shocked beyond belief when my doctor gave me a cancer diagnosis. That particular moment is vivid in my mind, but the moments after the words “You have stage IIB cervical cancer” are a blur. It was mid-November, right before Thanksgiving, Christmas, and New Year’s. Needless to say, I wasn’t in the spirit for any of the holidays after receiving such a diagnosis. Everything had gone dark. I thought, “Thanksgiving??? What do I have to give thanks for? For having cancer?” Focused only on the words of my doctors, I was forgetting about the rest of the many blessings around me. I was giving up before I even started to fight back. For me, it was the beginning of the end. I went into a cocoon, asking myself over and over, “What did I do wrong to deserve this?” I didn’t want to see anyone, not even family or friends. That year, there was no giving thanks on Thanksgiving, no beautiful tree or gifts for Christmas, no party or champagne cheers for the New Year. What was the sense of doing all that if I felt uncertain about my life? I was facing my own mortality. It took a while for me to feel ready to fight back. I was fighting for my life, and I was really scared. I even questioned my own faith, but God gave me the support and strength to endure. It was a difficult journey, but I won the battle – I got a second shot at life. Now, I don’t question anything. I give thanks every day as if it were Thanksgiving Day. I celebrate each day and see it as a gift given to me like a Christmas present. I live and celebrate every day as if it was New Year’s day. There is so much I want to do, and I don’t take anything for granted. I see life differently now; problems that seemed huge are not so big anymore, and I really don’t sweat the small stuff. Life is good!! After going through this experience, I want to share my story with other women and let them know that my journey does not have to be theirs. I want to pay it forward. 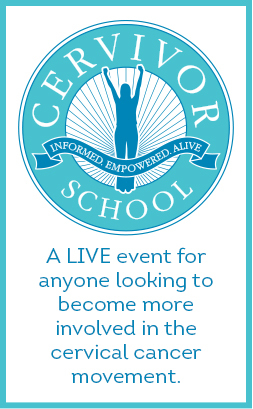 In 2014, I was fortunate to have been chosen as one of the survivors to attend Cervivor School. 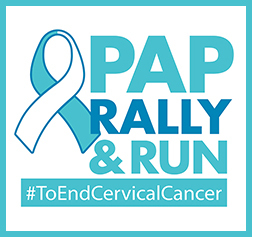 This is a life-changing event that trains women in impactful storytelling, teaching the most essential facts about HPV, cervical cancer, and prevention. 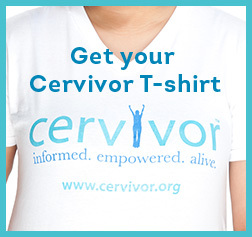 Cervivor School supports women in becoming cervical cancer advocates and changing the future of female health. I had an awesome experience at Cervivor School 2014, becoming empowered with knowledge in so many different areas. The support of my survivor sisters is beyond anything I could imagine, and I’m now a SURVIVOR turned ADVOCATE, committed to helping eradicate cervical cancer for good! I want you to know that you can get through this, and we are here for you. Together, we’ll make a difference. 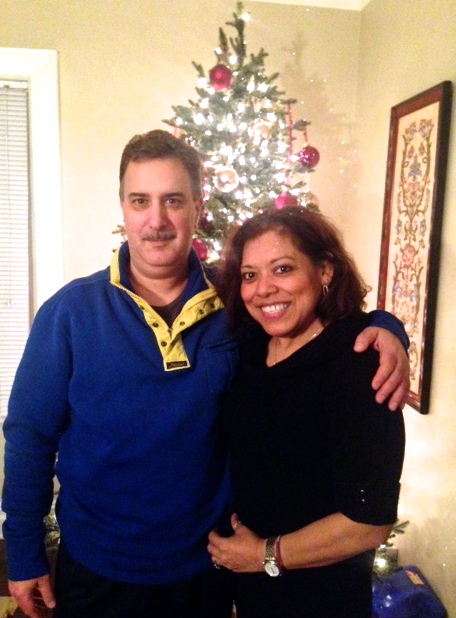 Wishing Everyone a Very Healthy New Year 2015!! 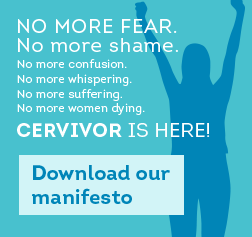 When I was diagnosed with cervical cancer, I never planned on becoming a patient advocate. In fact, it was the furthest thing from my mind. 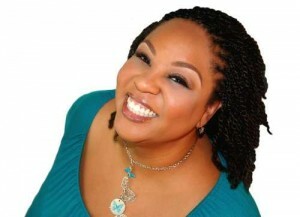 I was 25, single, childless and scared. This was 2001 and no one was really talking about HPV. I had never even heard of it and I pride myself with being “in the know”. Hell, I was even working on a national award winning health show and it wasn’t a topic that we discussed. As I healed from my surgery and prepared for radiation and chemo I still never thought about sharing my story. It’s ironic, because as a television producer that’s what I am – a glorified story teller. But this wasn’t a story that I wanted to share. I was ashamed and just wanted to put it all behind me. So I did. Or at least I thought I did. Slowly, I began pouring myself back into my work and started the grind of networking. I went back to being that social butterfly that my friends and family had always loved. But something was different. I was different. My life had forever been changed. As much as I tried to put the pieces of my cancer riddled life back together, it just didn’t happen. The pieces no longer matched up perfectly. I didn’t fit into my own world. My energy level wasn’t the same and I thought about my experience constantly. 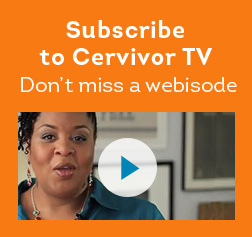 I wondered why no one was talking about cervical cancer. It took me three years to accept that I had cancer and it had rocked my perfectly planned world. I was one of those people who had everything planned out and cancer was not in the plans – when is it ever? But it happened and thankfully I survived — so I had to live — really live. And so I did. Part of living my best life after cancer was doing something for those that would come after me. Like helping them to avoid the isolation that I felt as a woman with cervical cancer. The more involved I became in the cancer community, the more the pieces of my life began to fit back together – but some of them took a new form. 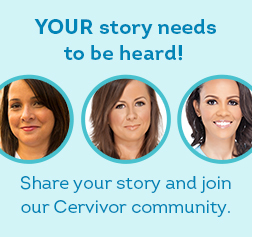 When I look at the cervical cancer community, I see only a handful of women sharing their stories. I always wonder why more women aren’t speaking up. Is it because of the stigma of HPV? A lack of time? Or do they think that their voice doesn’t matter? Whatever the reason; we need your voices. Tell me: What’s holding you back from sharing your story? We need patient advocates to help combat this disease. We can’t leave it to the clinicians and researchers and Congress. We must have a seat at the table. We complete the puzzle to eradicating this disease. We are the messengers. Will you join me?  1) Take this survey and let us know what you need and expect from our community. 2) Join us at Cervivor School this coming January in Austin, TX. I won’t stop until we put an end to this cancer – because together, I know that we can.